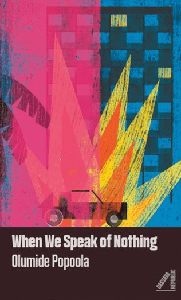 Olumide Popoola’s When We Speak of Nothing, published by Cassava Republic Press, has received a great review from the Financial Times. 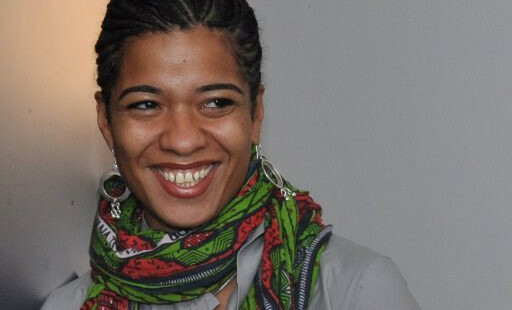 Popoola is a London-based Nigerian German author. Her novella this is not about sadness was published by Unrast Verlag in 2010, and the short story collection breach, which she co-authored with Annie Holmes, came out in 2016 from Peirene Press. When We Speak of Nothing tells the story of friends Karl and Abu, both 17, who live near Kings Cross. Its 2011 and racial tensions are set to explode across London. Abu is infatuated with gorgeous classmate Nalini but dares not speak to her. Meanwhile, Karl is grappling with gender identity, and becomes the target of the local ‘wannabe’ thugs just for being different. When Karl finds out his father lives in Nigeria, he decides that Port Harcourt is the best place to escape the sound and fury of London, and connect with a Dad he’s never known. Meanwhile, the murder of Mark Duggan triggers a full-scale riot in London, and Abu finds himself in its midst. It’s not often we hear in such exacting articulation the voices of the young from behind the cranes and forklifts of London’s eternal regeneration crusade, from the wastelands of financial and political corruption, from the rubble that looks like the future. “I didn’t make this mess,” Abu rightly states. All he and Karl can do is find a way to live inside it, and this book bears witness to that difficult journey with a sense of truth, nuance and comedy. A satisfying and perceptive examination of the emergence of the whole person against the odds posed by a constricting society.